Decorative sateen drape in different colors and widths from 3 mm to 100 mm. 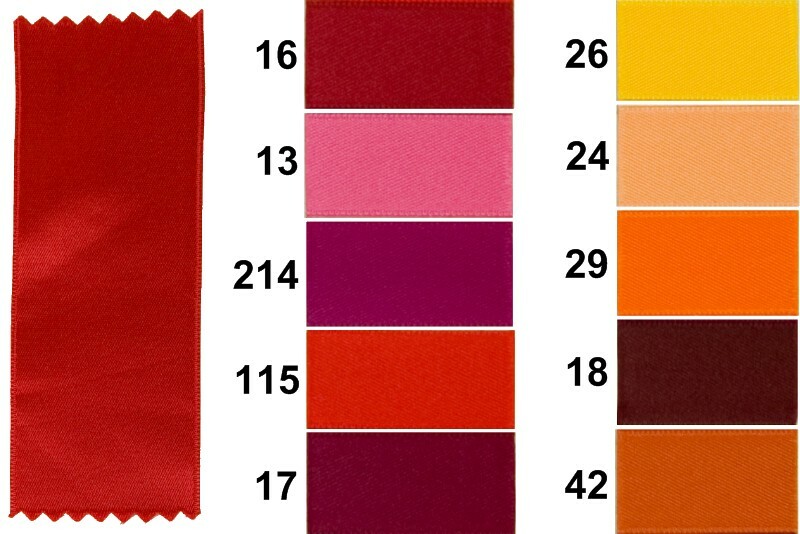 We have most all colors in the 3-40 mm width, some colors in 50 mm width and red drape in the 70 and 100 mm width. Sateen drapes, black-turqoise-pink, 40 mm width. Sateen drape, blue-purple, 40 mm width. Sateen drape, green-brown, 40 mm width. Sateen drapes 25 mm width. Sateen drapes, black-turqoise-pink, 16 mm width. Sateen drapes 16 mm width. Sateen drapes, blue-purple colors, 16 mm width. Sateen drapes, green-brown nuances, 16 mm width. Sateen drapes 10 mm width. Sateen drape, red-orange, 10 mm width. Sateen drape, blue-purple, 10 mm width. Sateen drape, green-brown, 10 mm width. Sateen drape, blue-turqoise-pink, 6 mm width. Sateen drape, red-orange, 6 mm width. Sateen drapes 6 mm width. Sateen drape, green-brown colors, 6 mm width. Sateen drapes 3 mm width. Sateen drapes, red-orange, 3 mm width. Sateen drapes, black-turqoise-pink, 3 mm width. Sateen drapes in red in 70 mm width. Sateen drapes 50 mm width. SALESateen drapes in red in 100 mm width.